APRIL 16, 2019 – Bob has published several articles since 2015 in America’s largest-circulation newspaper (The Wall Street Journal) and magazine (AARP: The Magazine). The winner of eight national magazine writing awards since 2005 is a San Francisco-area travel, outdoor-sports and general-interest freelance writer for major magazines, newspapers and websites. He also writes content for corporations, including Asics and United Airlines, and is a copy editor and proofreader for authors and other clients. His magazine articles since 2009 have appeared in National Geographic Traveler, Hemispheres, American Way, Family Circle, Wired, Ladies’ Home Journal, Runner’s World, Inc. Magazine, Bicycling, Budget Travel, AAA Highroads, The National, Porthole Cruise, Experience Life, Success, Draft, Boys’ Life, Ensemble Vacations and Western Living (Canada). Many of his travel articles are accompanied by his photos. For fun, he loves to compete, with more than 500 running, cycling and kayaking race completions. Bob is a part-time, freelance line editor, copy editor and proofreader for numerous clients, especially authors. Earlier in his lifelong career as a writer/editor, Bob was executive editor of Running Times Magazine, and before that, a regional editor and contributing editor for other magazines. Bob has worked with NewsCred, Manifest and other custom-content firms to produce hundreds of print and web articles for major corporations as well as inflight and alumni magazines. These include travel articles for United Airlines and Starwood Hotels; running stories for ASICS; health articles for Abbott Health and hospital-based magazines; and articles for Hemispheres, American Way and Continental inflight magazines. Bob writes extensively about travel, especially outdoor/adventure travel. These stories have appeared in The Wall Street Journal, National Geographic Traveler, National Geographic Adventure, AARP: The Magazine, Budget Travel, Ensemble Vacations, Spa, Western Living, AAA Highroads, Art & Antiques, the Houston Chronicle, the San Francisco Chronicle and many other outlets. He specializes in writing about California, the U.S. West and Europe. Eager to take on almost any topic, Bob has written about everything from chefs and weddings to history and international politics for Family Circle, Ladies’ Home Journal, Success, Self, Art & Antiques, the San Francisco Chronicle and other major magazines, newspapers and websites. Stories of mine on topics including sleep, repetitive-stress injuries, exercise motivation, Seasonal Affective Disorder and medicine-cabinet safety have appeared in Men’s Fitness, Prevention, Experience Life, Vim & Vigor, and other national magazines. In addition, I have written hundreds of stories for Runner’s World. 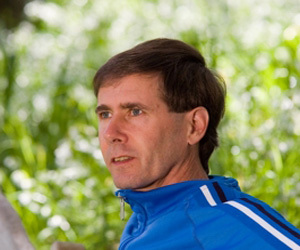 Bob is the author of SAN FRANCISCO RUNNING GUIDE (Human Kinetics), which has sold nearly 5,000 copies. Bob’s images have accompanied his articles in numerous national and regional magazines and websites, including AAA Highroads, Triathlete, Running Times, Healthy Travel, Wine Buzz, and PeterGreenberg.com. He was a 2015 North American Travel Journalists Association Awards finalist in the “Photography-Overall Excellence: Print Publication” category for Bordeaux photos published in AAA HIGHROADS. Once a nationally-ranked ultramarathoner and marathon champion, Bob has completed 45 marathons and “ultras,” and is the only person to run relays the length and width of America. He now runs hill-climb running races, participates in bike tours (31-73 miles) and is undefeated in his kayak boat class in 42 straight regattas.